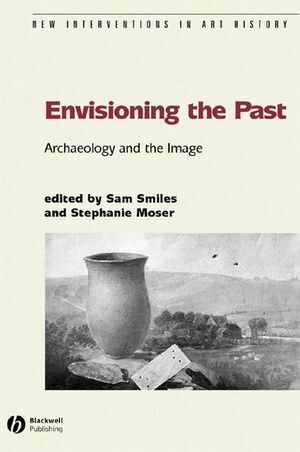 Envisioning the Past: Archaeology and the Image is a groundbreaking collection of original essays that brings together archaeologists, art historians and anthropologists to provide new perspectives on the construction of knowledge concerning the antiquity of man. Sam Smiles is Professor of Art History at the University of Plymouth. He is the author of The Image of Antiquity: Ancient Britain and the Romantic Imagination (1994) and Eye Witness: Artists and Visual Documentation in Britain, 1770–1830 (2000). Stephanie Moser is Senior Lecturer in Archaeology at the University of Southampton. She is the author of Ancestral Images: The Iconography of Human Origins (1998) and Exhibiting Egypt (2005). Introduction: The Image in Question: Stephanie Moser (University of Southampton) and Sam Smiles (University of Plymouth). 1 Romancing the Human: The Ideology of Envisioned Human Origins: Paul Privateer (Arizona State University). 2 “We Grew Up and Moved On”: Visitors to British Museums Consider Their “Cradle of Mankind”: Monique Scott (Yale University). 3 The American Time Machine: Indians and the Visualization of Ancient Europe: Stephanie Pratt (University of Plymouth). 4 “To Make the Dry Bones Live”: Amédée Forestier’s Glastonbury Lake Village: James E. Phillips (University of Southampton). 5 Unlearning the Images of Archaeology: Dana Arnold (University of Southampton). 6 Illustrating Ancient Rome, or the Ichnographia as Uchronia and other time warps in Piranesi’s Il Campo Marzio: Susan M. Dixon (University of Tulsa). 7 Thomas Guest and Paul Nash in Wiltshire: two episodes in the artistic approach to British antiquity: Sam Smiles (University of Plymouth). 8 A Different Way of Seeing? Toward a Visual Analysis of Archaeological Folklore: Darren Glazier (University of Southampton). 9 Photography and Archaeology: The Image as Object: Fred Bohrer (Hood College). 10 Wearing Juninho’s Shirt: Record and Negotiation in Excavation Photographs: Jonathan Bateman (University of Sheffield). 11 Video Killed Interpretative VR: Computer Visualisations on the TV Screen: Graeme P. Earl (University of Southampton). 12 The Real, the Virtually Real and the Hyperreal: The Role of VR in Archaeology: Mark Gillings (University of Leicester).